The first point I’d like to make is that Israel has a lot of great wines. The second is that few of these will you find at the Jerusalem Wine Festival. Understandably but unfortunately. 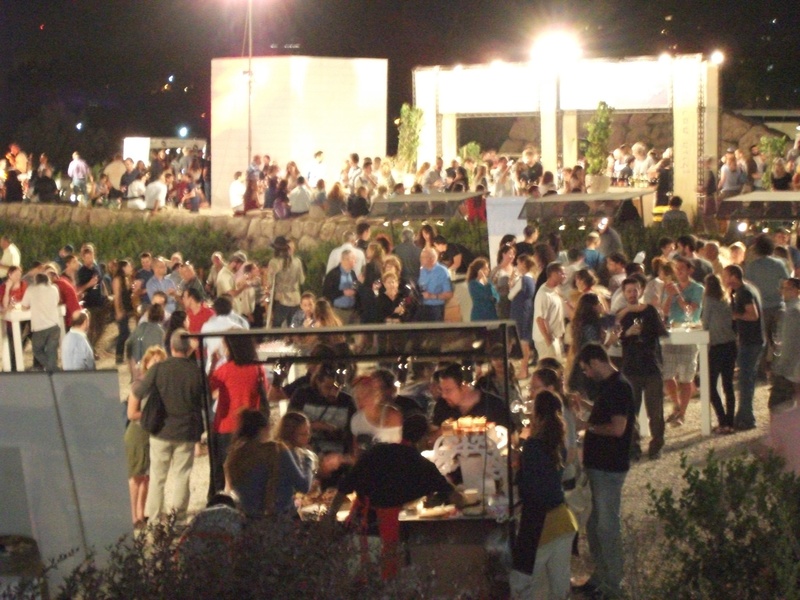 In its tenth year now, the wine festival hosts about 30-40 wineries (both kosher and not) as well as some food producers (chocolatiers, olive oil makers etc.). I’ve been going for three years now and my general impression is that wineries mainly bring stuff they can’t sell or their entry-level wines. Therefore the event is not particularly exciting for those seriously interested in wine but you do find some gems and it’s certainly a lovely social occasion in a beautiful setting, with a nice buzz and good music. The best wineries don’t bother to come, but the four-day festival is a good opportunity for the less famous ones to make themselves better known to the public. As a visitor, one’s best strategy is to look out for the more unusual grape varieties and to visit the stands of wineries one has never heard of. You may find some interesting things. 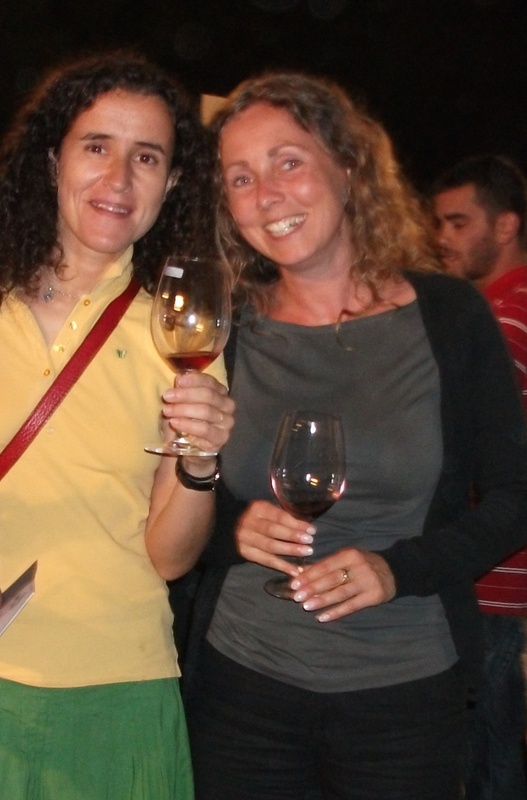 I am of course thrilled to see that so many wineries are springing up in Israel. At the same time, I’m disappointed by the overall quality, although, as I said above, this is hard to judge because my impression is based on the limited selection of wines the producers bring to the event. Anyway, here are my findings, for what they’re worth. White wines showcased at the festival are mainly Chardonnays and Sauvignon Blancs. Very few producers seem to be able to make a really good one of either grape variety. The wines are too often dominated by candy and bubble gum flavours and lack acidity and typicity. The same stands for the rose wines: not one really fine example, and the ones I tasted were either over-extracted (meaning too much tannin from grape skins, which adds unwanted roughness) or way too syrupy, sweet, lacking freshness. The reds are often oxidized or have overripe, raisiny fruit and are too uniform. In general, I missed individual character, a personality in the wines. But aside with all the negativity. Below are some wines I enjoyed tasting and am very happy to recommend. I was so glad to discover a Riesling at the festival. Not many in Israel make a real Riesling, let alone a good one. This is definitely a worthy example. It carries the typical Riesling rubbery aromas and flavours, has a lean body and great acidity. Chillag are among the few producers that I felt really add an individual touch to whatever they make. Their Sauvignon Blanc is original, with a pungent vegetable nose which you may or may not like (I did) but it has character, and so do their reds. I was enamoured with the peppery nose and the palate didn’t disappoint either. Full of capsicum and black pepper, this is a savoury wine with a lovely character. I felt that Ella Valley’s winemakers got the idea of Sauvignon Blanc right. The wine has very fresh, high acidity and, although not too intense, the typical Sauv Blanc flavour characteristics of elderflower and gooseberry with an unmistakeable prickliness. Their 2009 Cabernet Sauvignon is another serious red with lots of pepper and a minty, leafy character which I loved. I seemed to detect some earthy, farmyard flavours which may be due to Brett (a fungus) but that only made the wine sexier. It doesn’t lack alcohol but what can we do, this is Israel. A blend of Cabernet Sauvignon, Merlot, Petit Verdot and Cabernet Franc, the wine has an amicable, fragrant, smooth character but with serious content. Ripe black fruit, peppery spice and balanced oak create a velvety, highly enjoyable wine which is fantastic value for money. A beautiful example of a Pinot Noir. Its appearance, nose and palate carry all the characteristics one wants to see in a Pinot Noir wine. The flavours and aromas are refined, with a good balance of wood and fruit and fresh acidity.